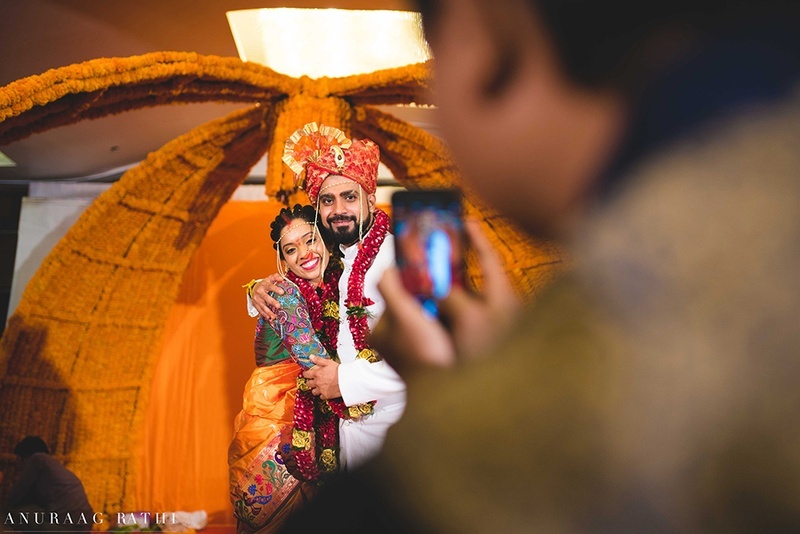 Ankita, the entrepreneur, and Vikrant, the DJ, met through work and have known each other for seven years. 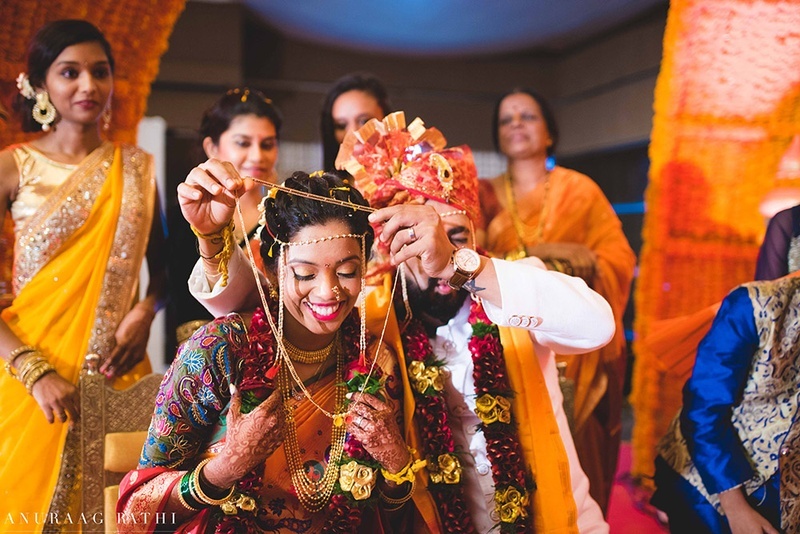 Over the years, they have both nurtured a soft corner for the other and when they started dating last year, it was love at first date! 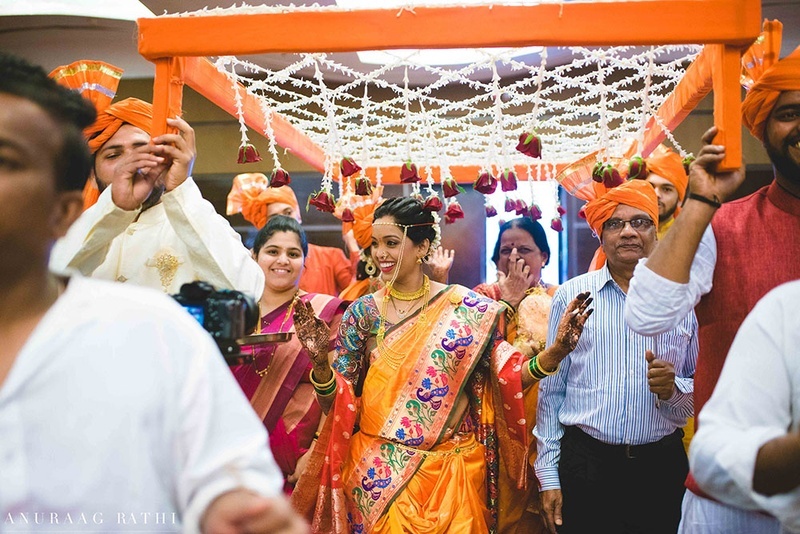 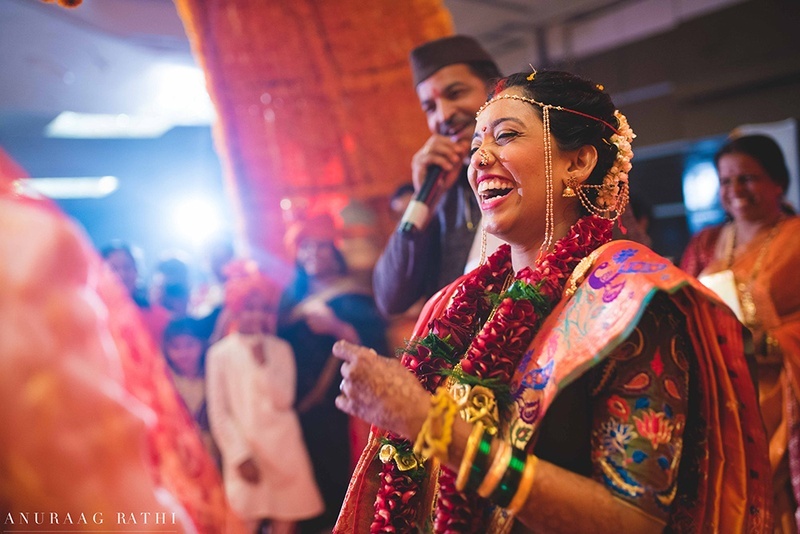 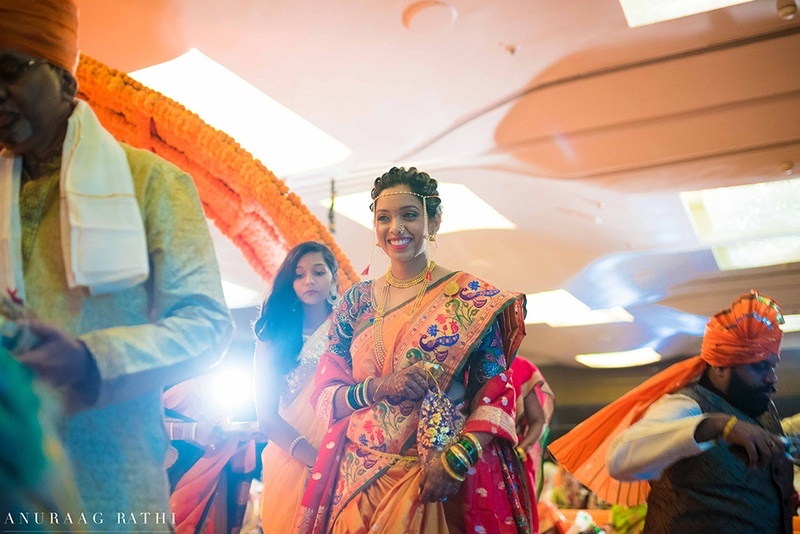 Their wedding was as colourful as their story and was held at Ramada, Powai. 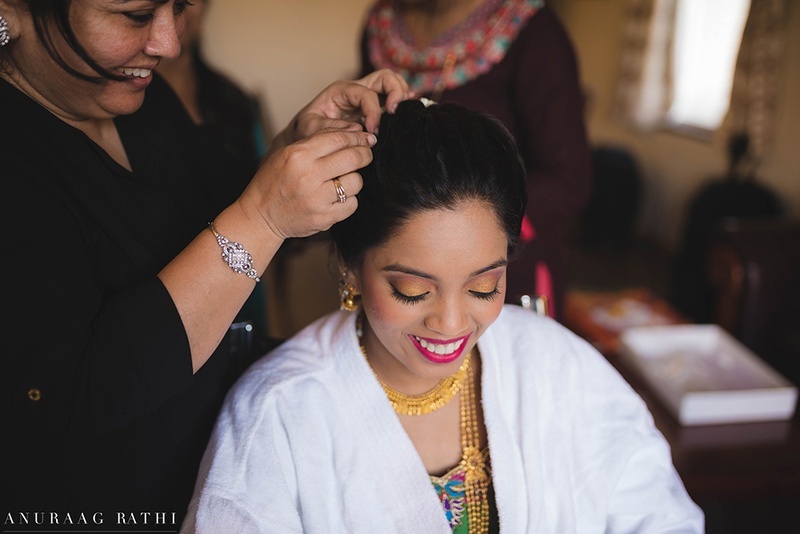 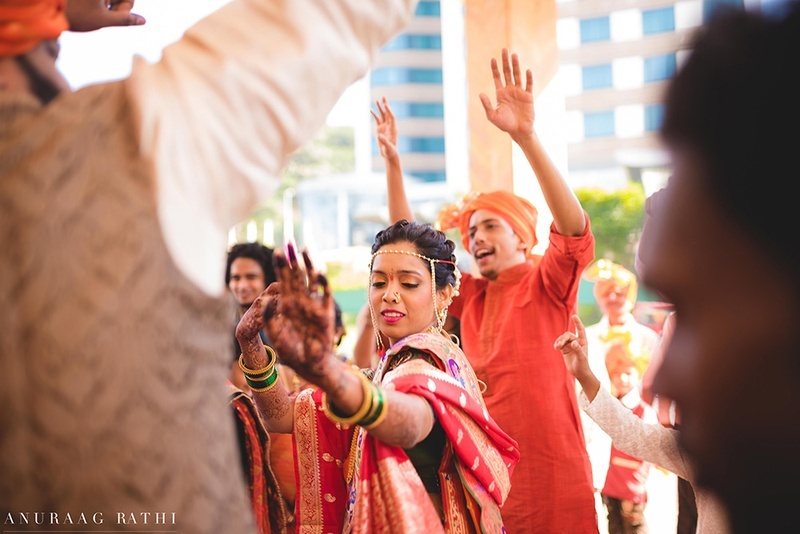 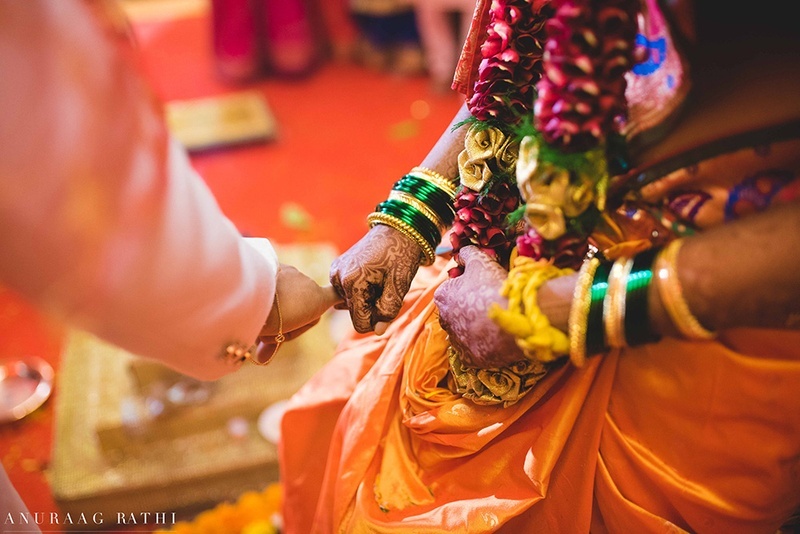 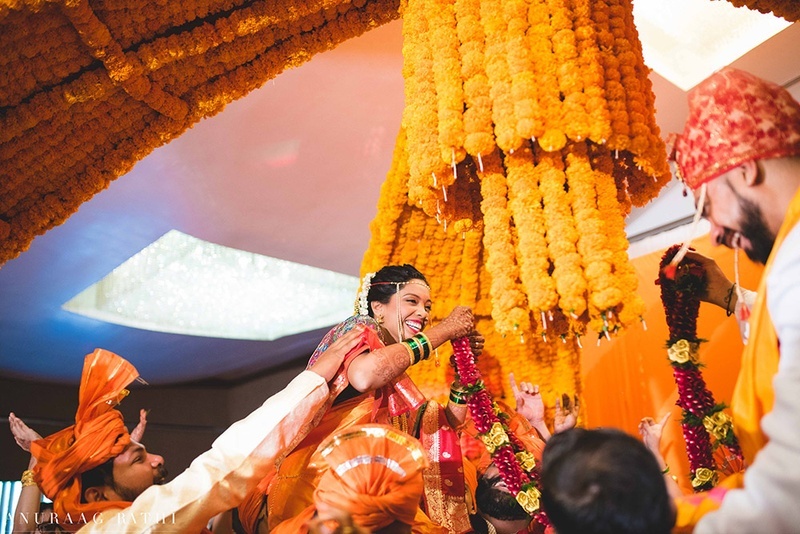 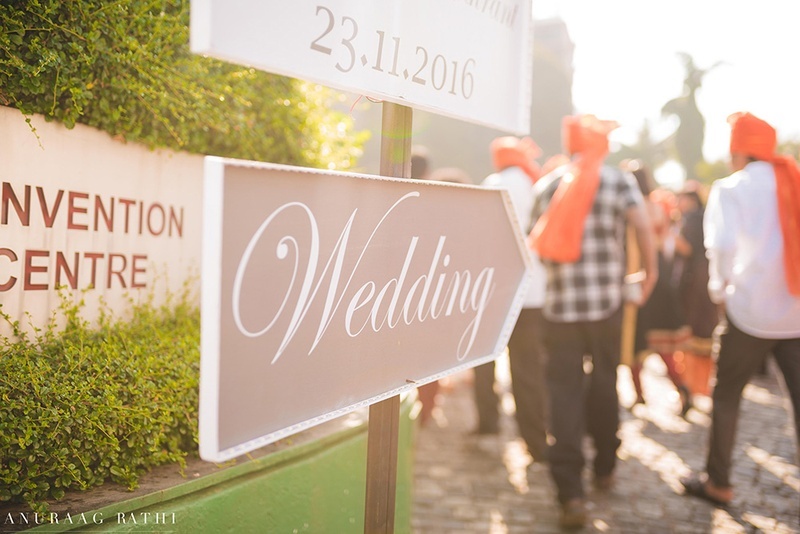 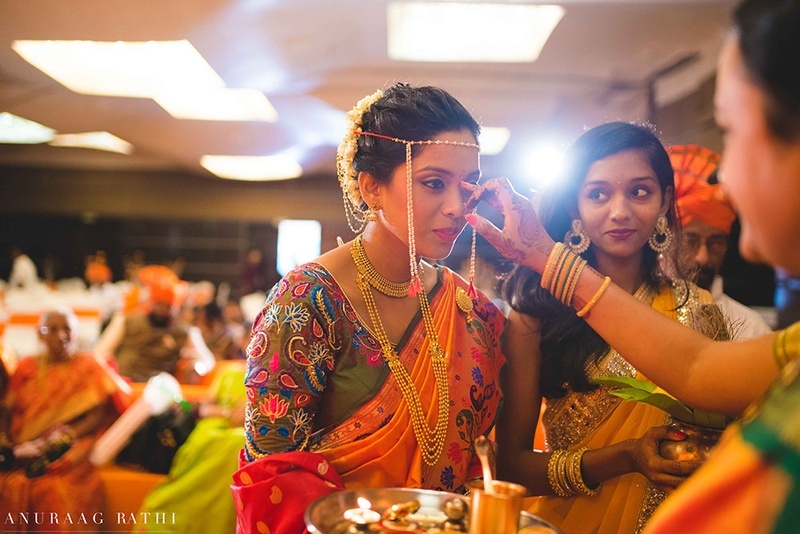 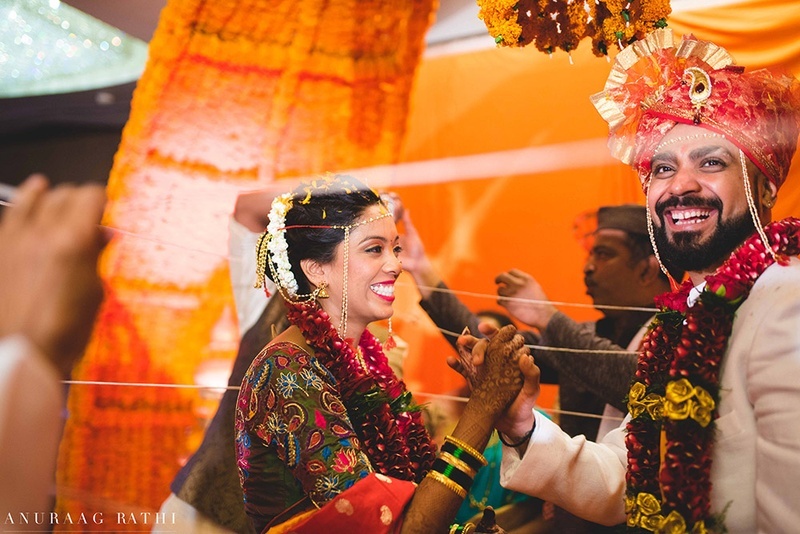 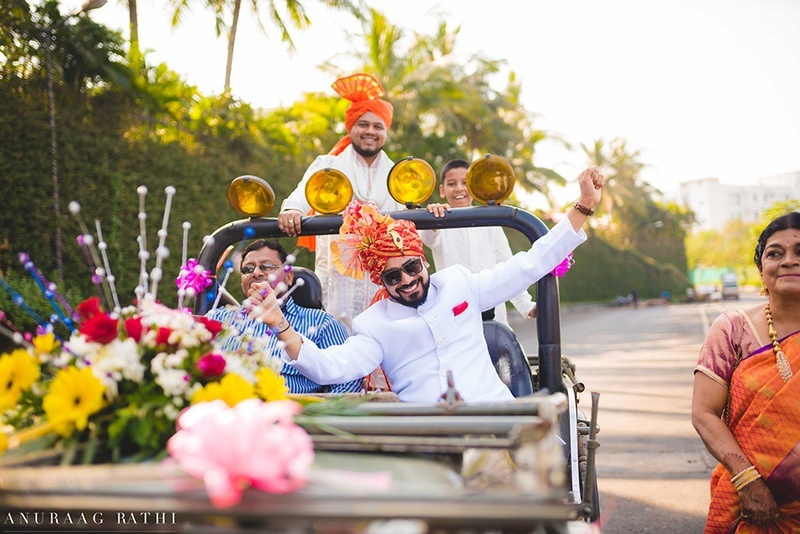 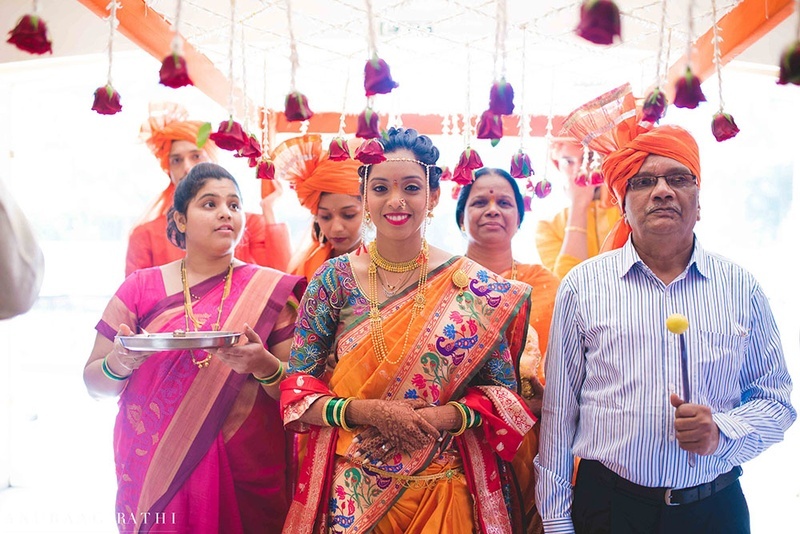 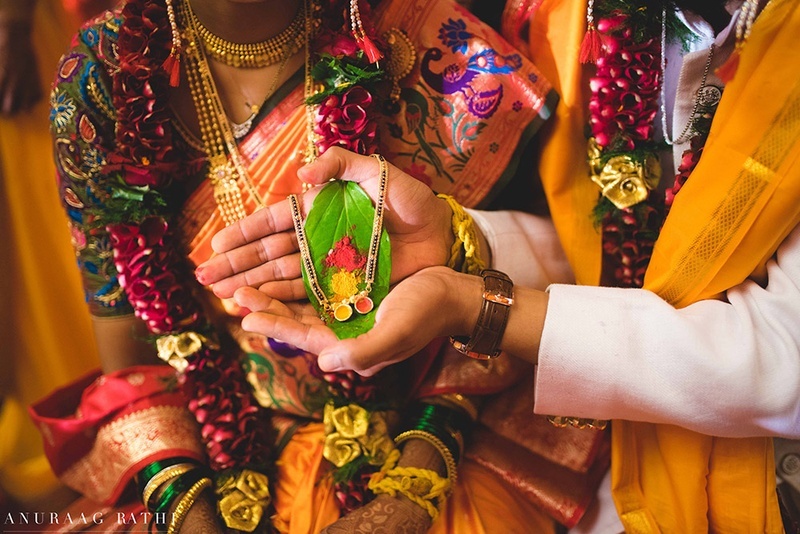 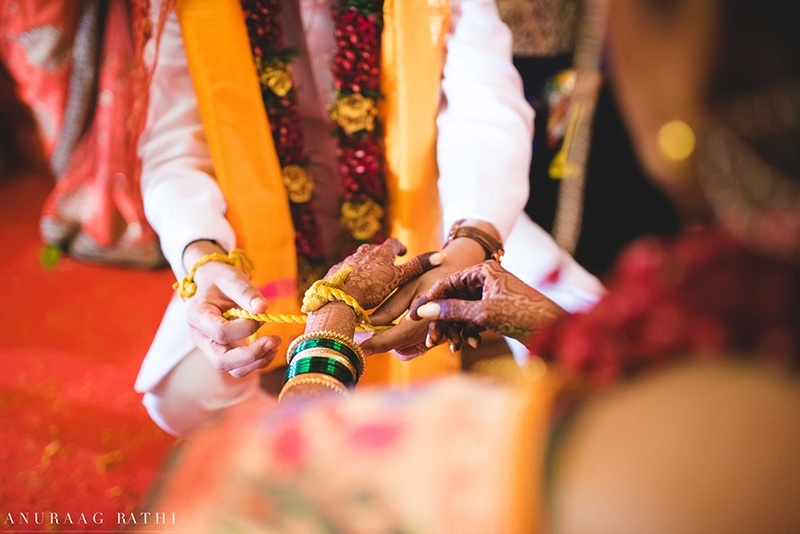 This simple yet elegant Maharashtrian wedding was captured beautifully by Anuraag Rathi and we love the couple for their gorgeous and heartwarming smiles! 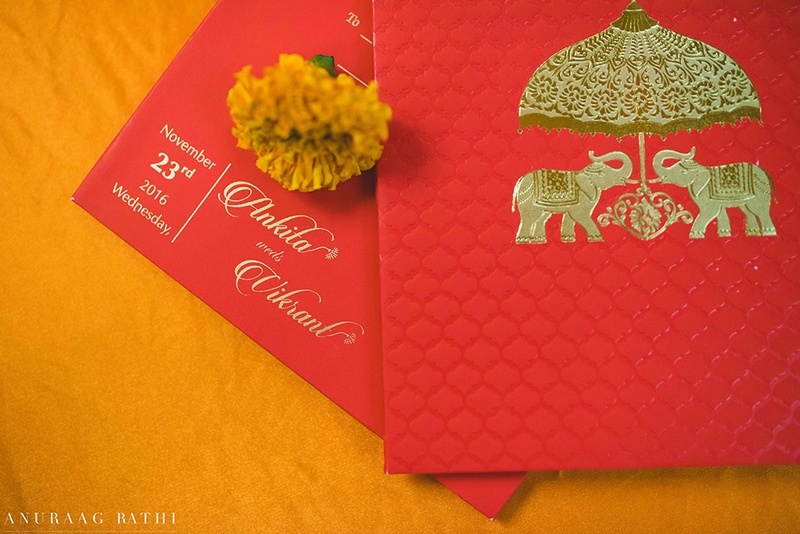 Red and Orange wedding invites. 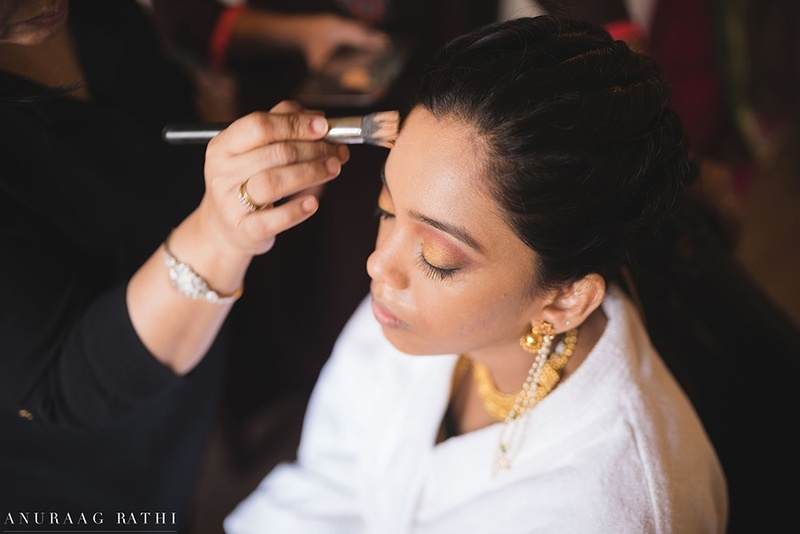 Getting her makeup done for the wedding day. 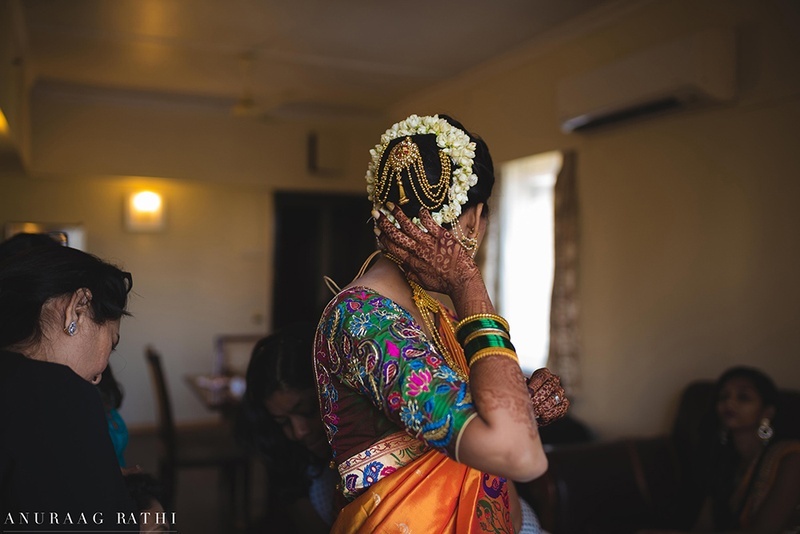 Maharashtrian hair accessory to die for! 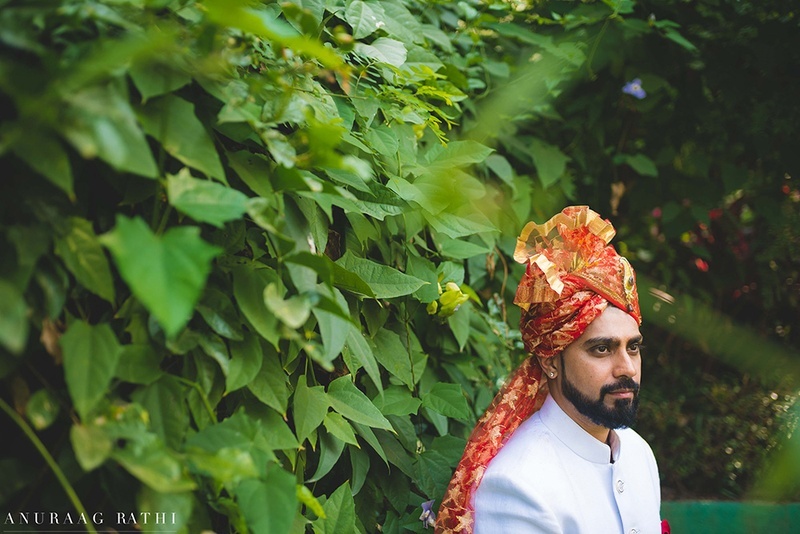 Vikrant dressed up in a pure white bandhgala paired with a red pocket square for the wedding day. 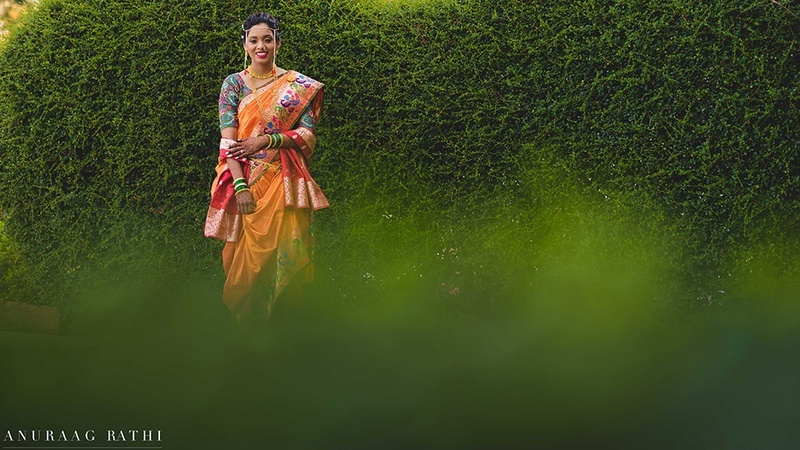 Dressed up in an orange paithni saree by Kapse Paithini Yeola. 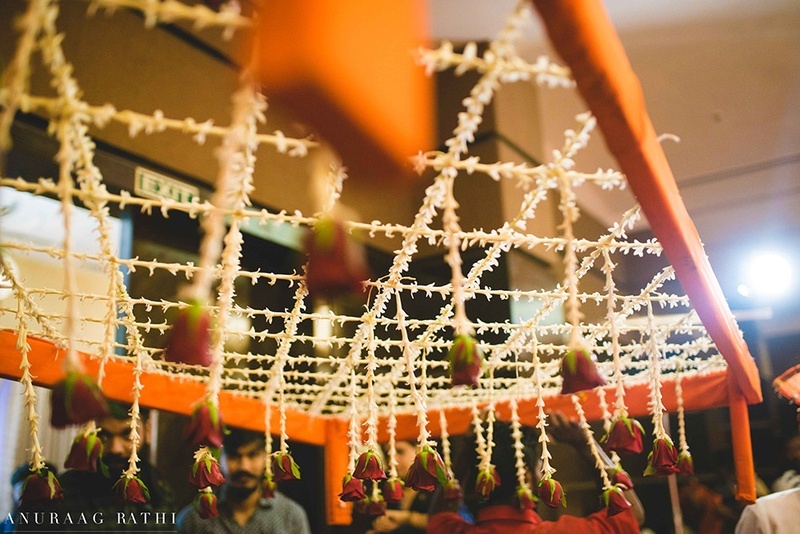 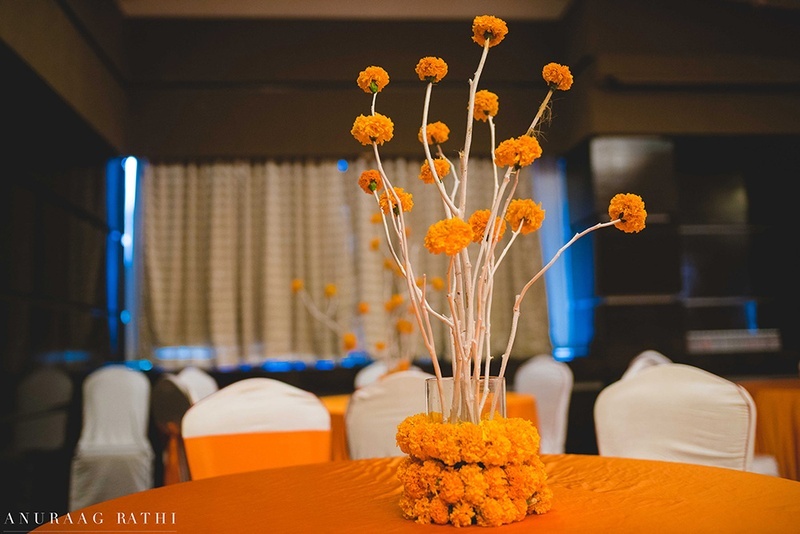 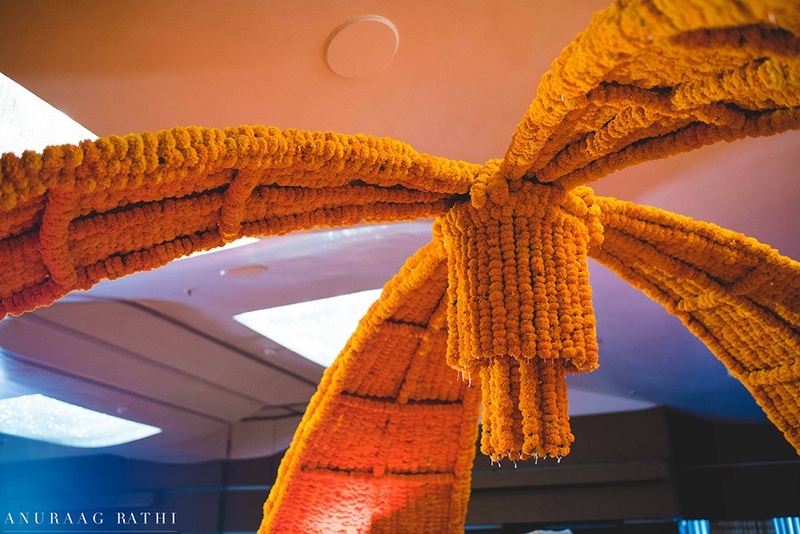 Genda phool decor for the mandap. 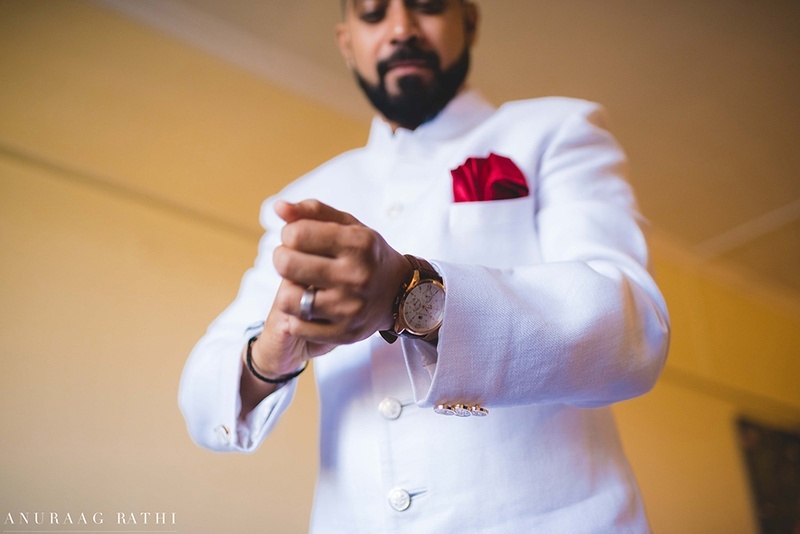 Vikrant entered like a dapper! 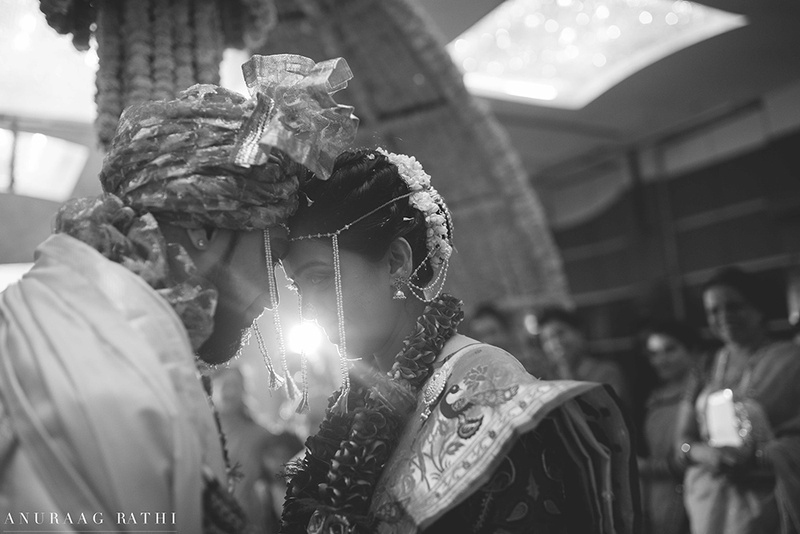 Black and white couple moment captured brilliantly by Anuraag Rathi.